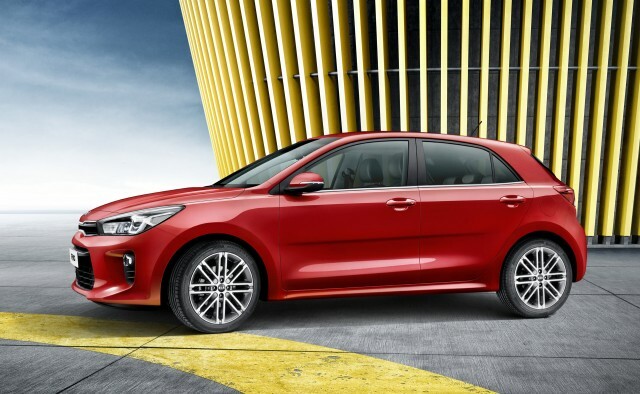 Subcompact hatchbacks and sedans may be a minor part of the U.S. market, but they're hugely important in the rest of the world. 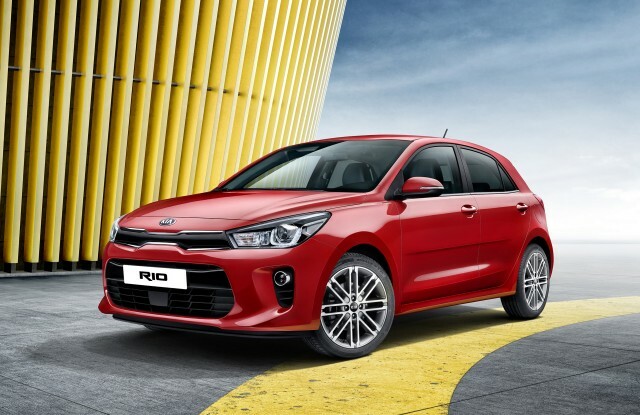 So the launch of a new generation of Kia Rio during next month's media days at the Paris Motor Show is worthy of note, even if some U.S. drivers and dealers yawn. After releasing a handful of teaser drawings last week, Kia has now released the first photos of what seems likely to be sold in North America as the 2017 or perhaps 2018 Rio. We know that design responsibility was split between the company's studios in Germany and California—though the main design center in Namyang, South Korea, likely had a strong influence as well. Kia calls the design of the new fourth-generation Rio "progressive," and notes that it's just a bit lower than the outgoing model. While the car depicted in the sketches was low, almost squat, and perched on huge wheels, the production design is somewhat closer to the current generation's more conventional and upright form. Kia says the longer front overhang and a lengthened hood convey a "more confident and balanced appearance" than the outgoing model. The interior features a dashboard angled towards the driver, with a large horizontal touchscreen as the interface to a new infotainment system. The cabin itself features gloss black and brushed metallic trim throughout, for a more modern finish. 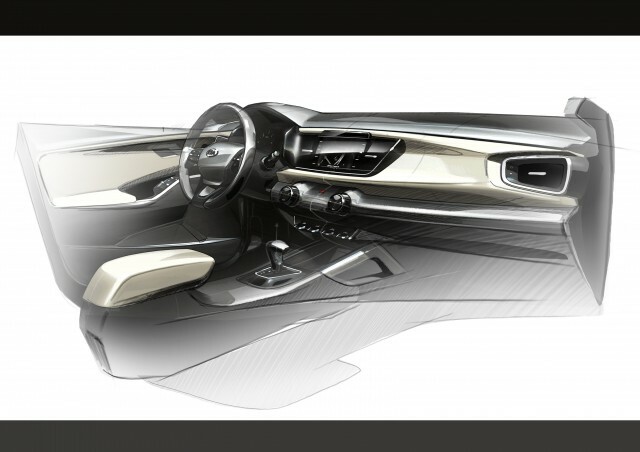 Large trapezoidal vents provide a visual feature, although the rendering's low central row of toggle switches where the dash meets the center console have been modified into more conventional plastic paddles. Inline four-cylinder engines will remain the sole options, with a choice of manual gearbox or automatic transmission. Start-stop seems likely to be fitted to European models, but it's unclear if it will come to North America. In the U.S., the company is likely better known for its Optima mid-size sedan and its Sorento and Sportage crossover utility vehicles. 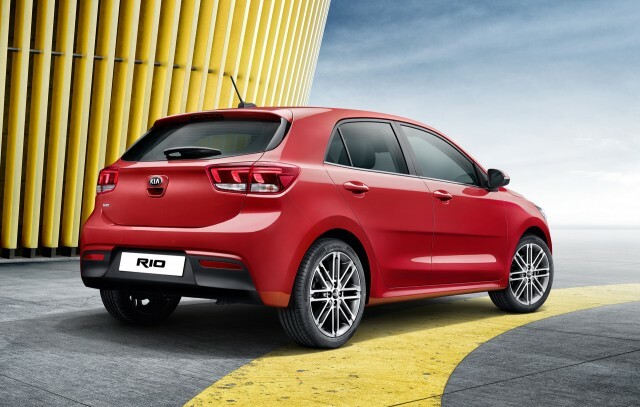 The first Kia Rio landed in the U.S. for the 2001 model year, offered in sedan and wagon forms. The wagon departed for the second generation that launched in 2006, with the new sedan joined by a five-door hatchback. The current generation, launched for 2012, continued with a hatchback, along with a much sleeker fastback sedan version.